Scroll Down for a Touch of Class. Looking for a cake that will “WOW” your guests and taste great? We offer both! 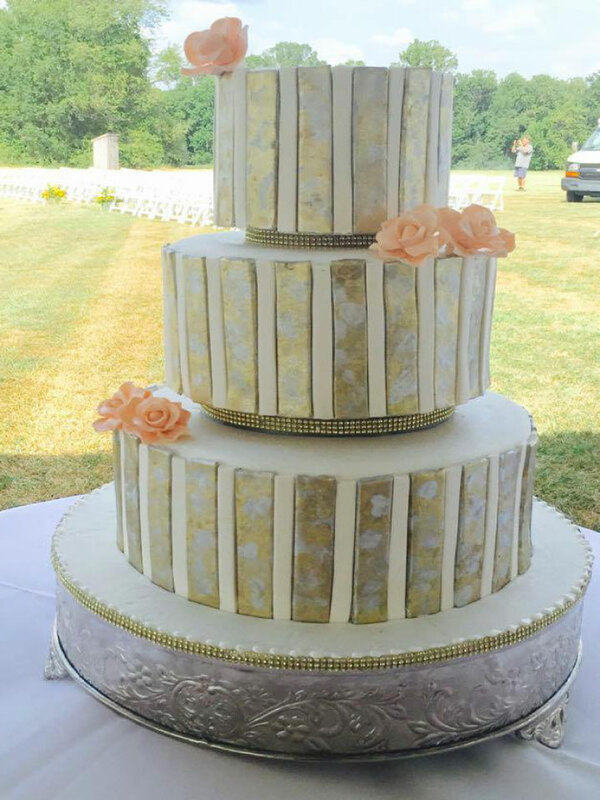 Sweet Melissa specializes in designer wedding cakes! 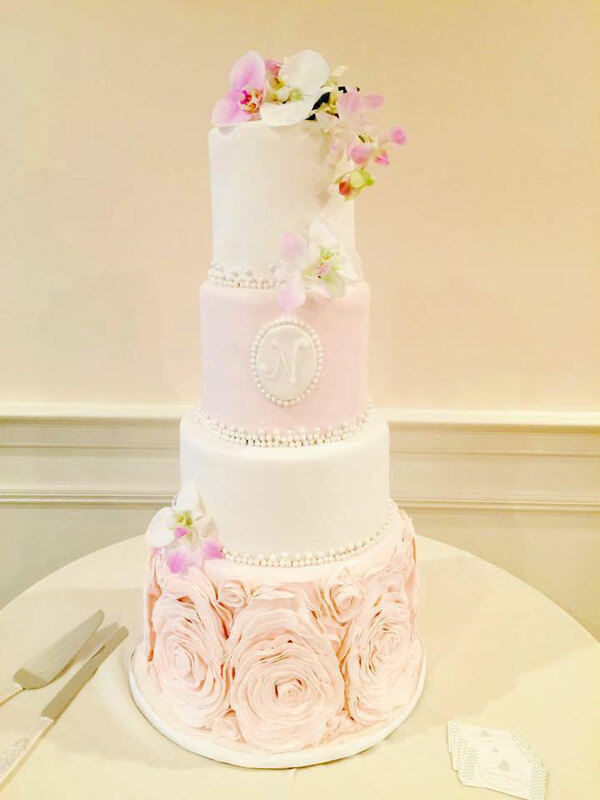 Melissa can create a customized wedding cake design for you . We suggest sending photos of some of your favorites , and we can come up with a design that suits your style, wedding theme and budget. We also specialize in dessert spreads such as coordinating cupcakes, cake pops, cookies, macarons and mini desserts. Melissa offers private tastings for weddings over 100 guests. We DO NOT offer tastings for wedding cupcakes. You can stop in to try some of our cupcake in store, and meet with Melissa for a consult to do that. A Touch of Elegance With a Taste of Divinity. Very Light and Not too Very Rich. Elegant. A Taste You Will Never Forget. Wedding cakes begin at $4.50 per serving for an all buttercream option. An average buttercream wedding cake is $4.95 per serving. **Anniversary Tier is included for Wedding Cakes of 100 servings or more. 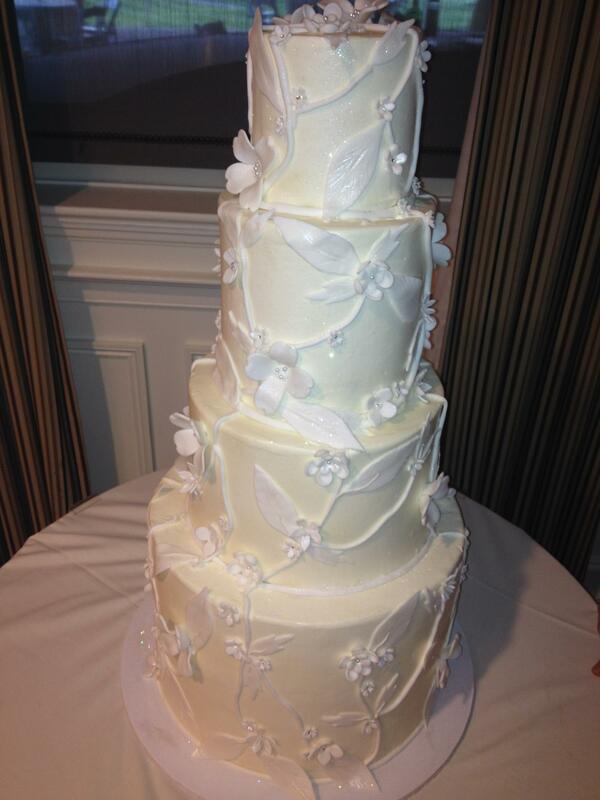 Fondant wedding cakes start at $7.50 per serving.